Enjoy a luxurious wine tour in Peninsula de Setúbal wine region. 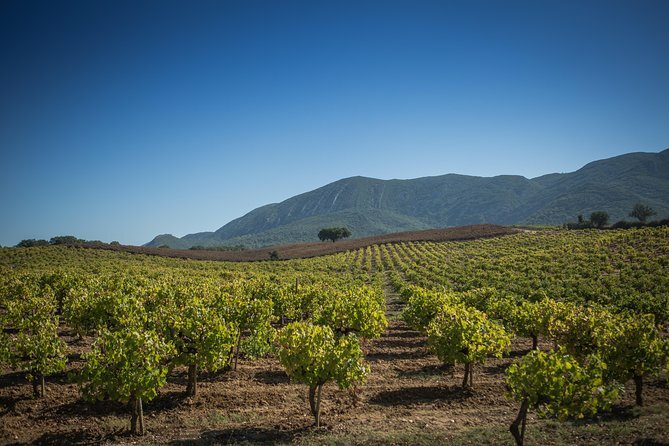 This is a tour with breathtaking scenery in Arrábida Natural park that includes the visit of two prestigious wine companies with several tastings of renowned wines accompanied by the famous Azeitão cheese. You ´ll walk in the battlements of medieval castle of Sesimbra, contemplate the strong landscape character of Sesimbra area part of the region of 3 castles and finish in Cristo Rei, the best view point to admire Lisbon. This is a personalized service available for small groups in comfortable minivans, tailored to suit your specific needs and wishes, always accompanied by graduated and experienced guides. The duration of the excursion is 9 hours. Walking tour in Sesimbra Castle, visit the church, free time for pictures.